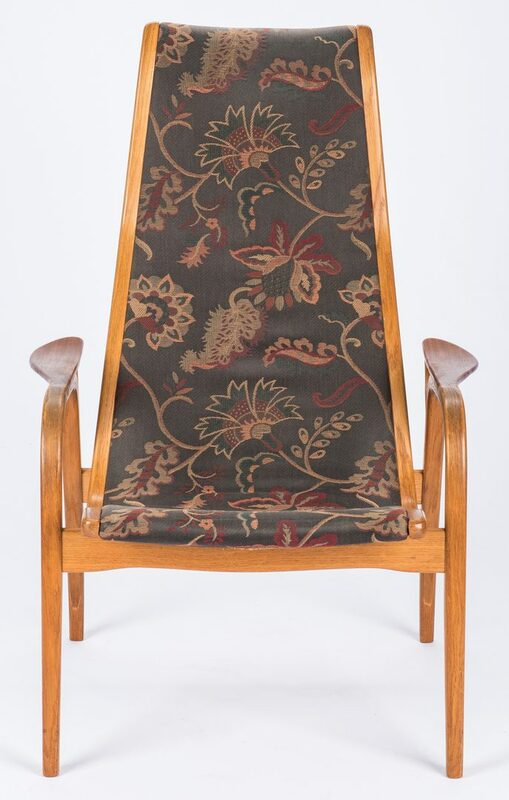 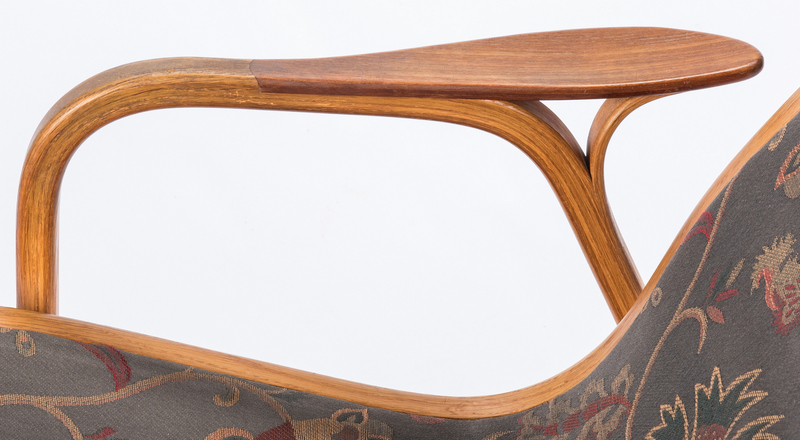 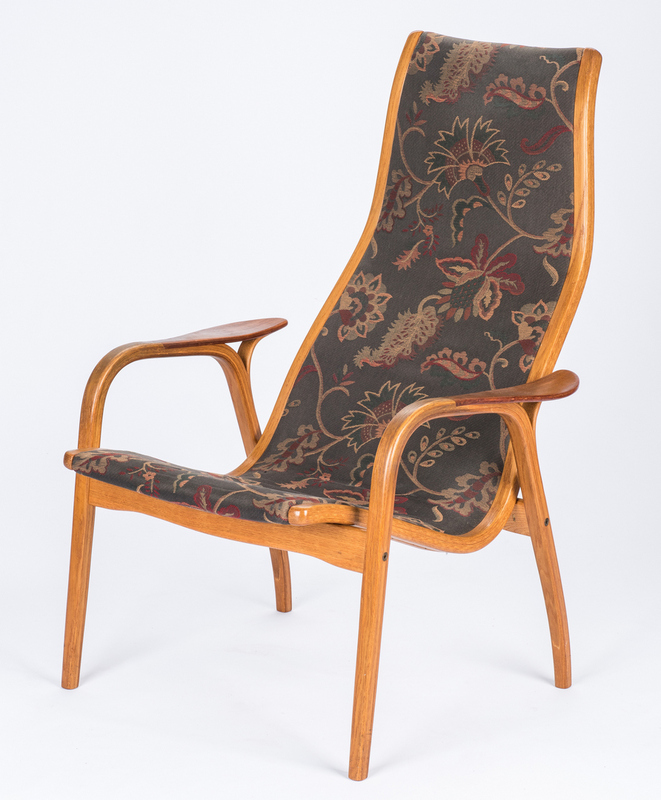 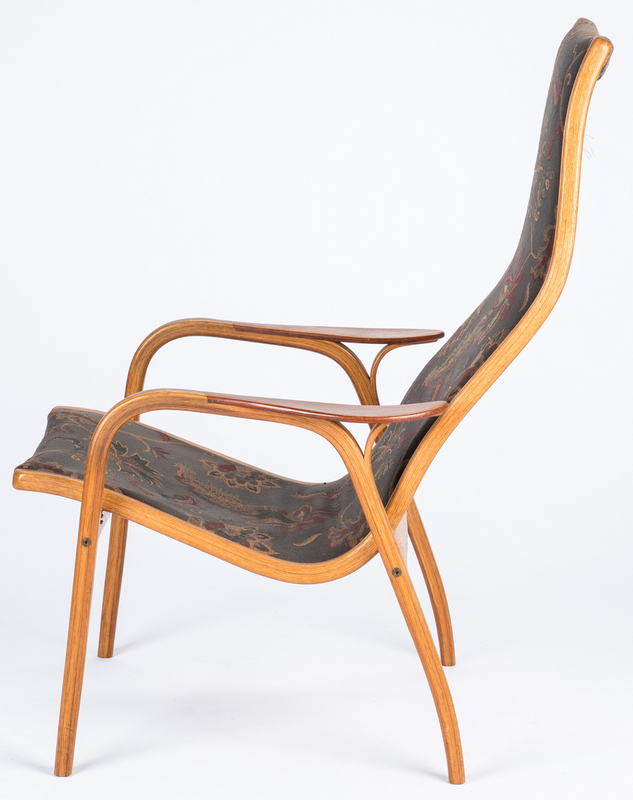 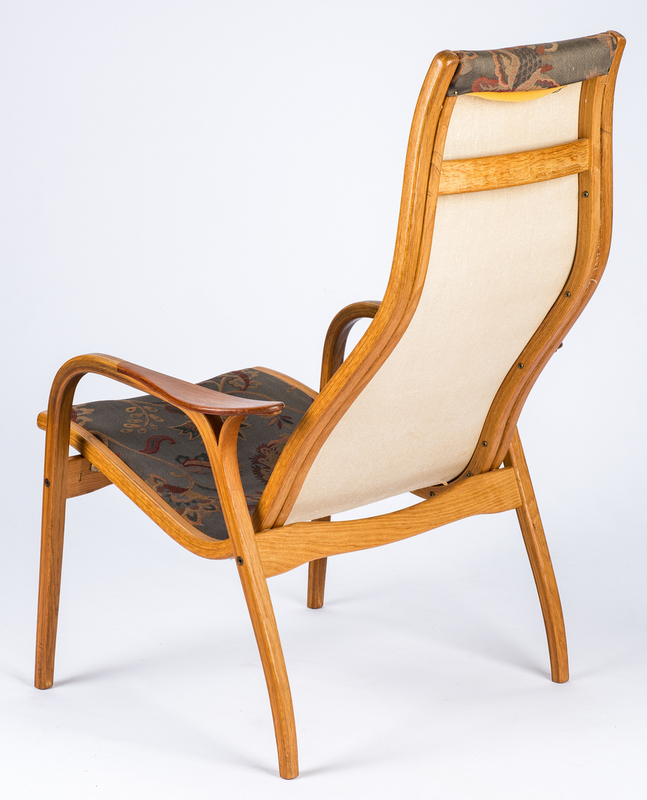 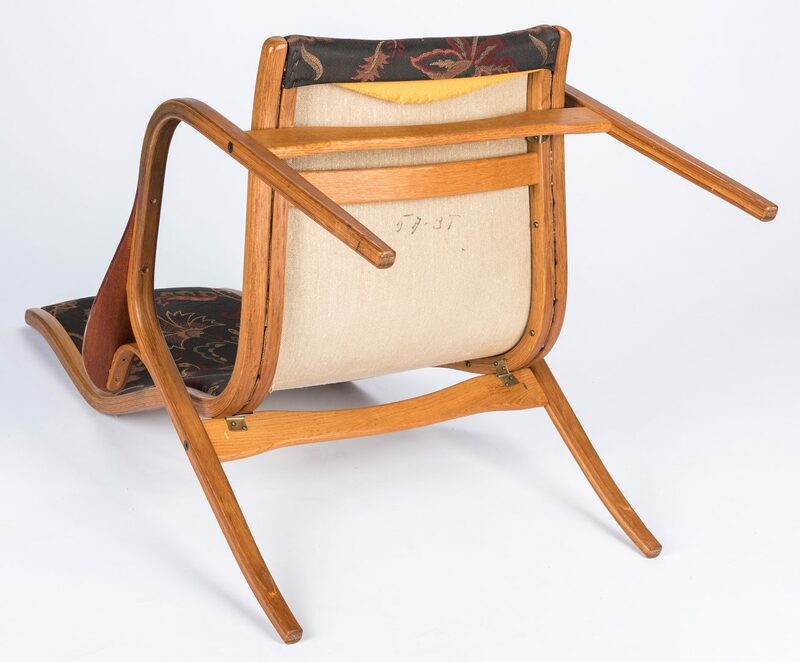 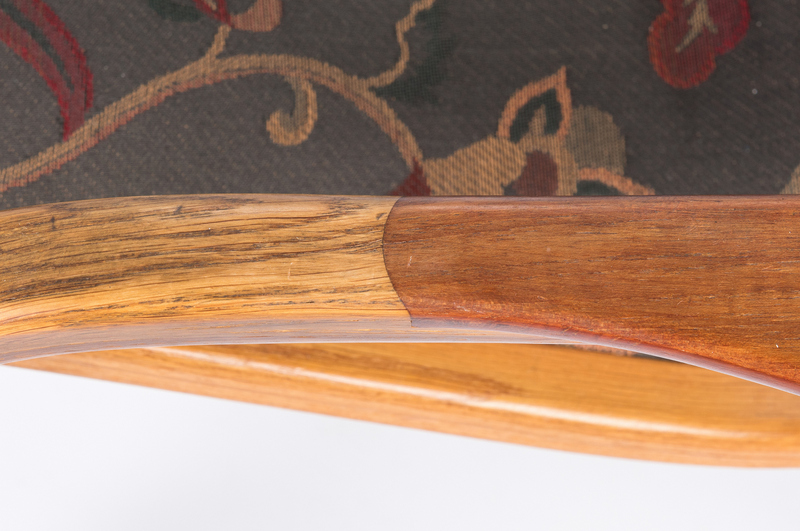 Yngve Ekstrom (Swedish, 1913-1988) mid century modern "Lamino" lounge chair or armchair, teak and oak with newer floral damask upholstery, ergonomic curved high back, paddle style armrests with curved supports and square tapering legs. 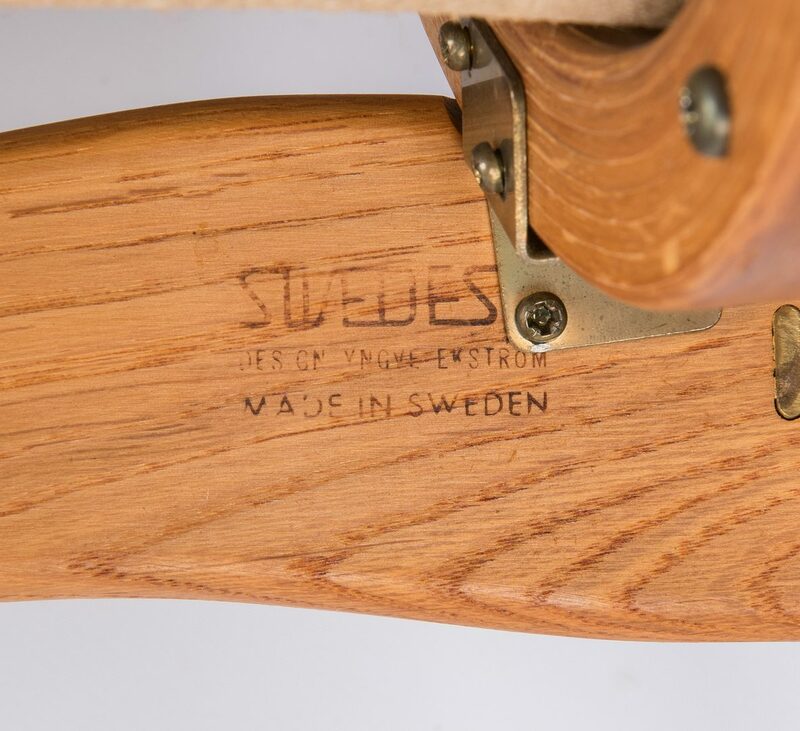 Underside of seat marked 57-3T, additionally stamped on the underside SWEDESE/DES ON YNGVE EKSTROM/MADE IN SWEDEN. 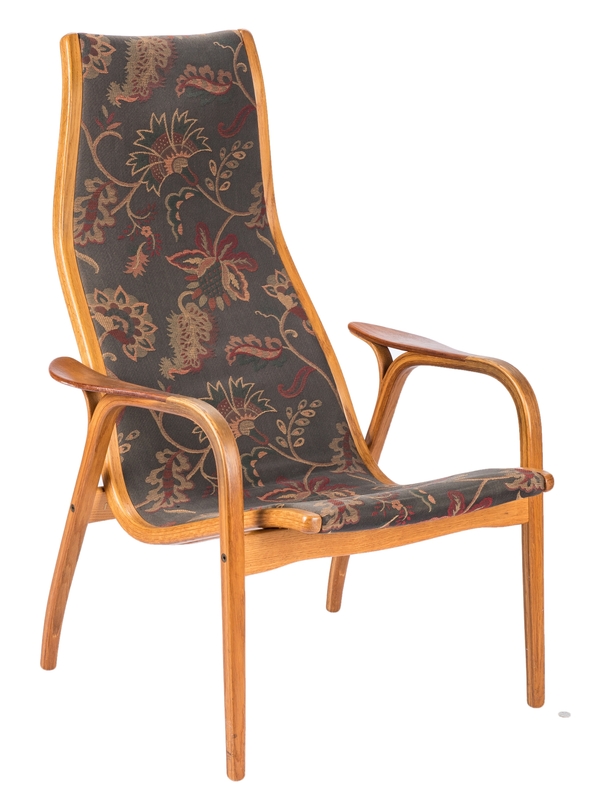 39" H x 27" W x 32" D. Swedish, circa 1956. 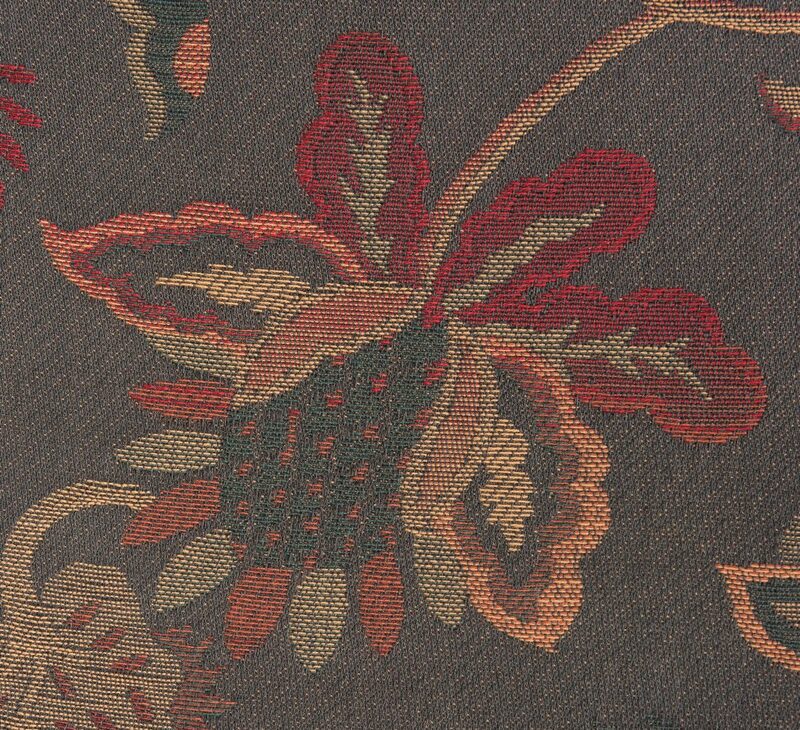 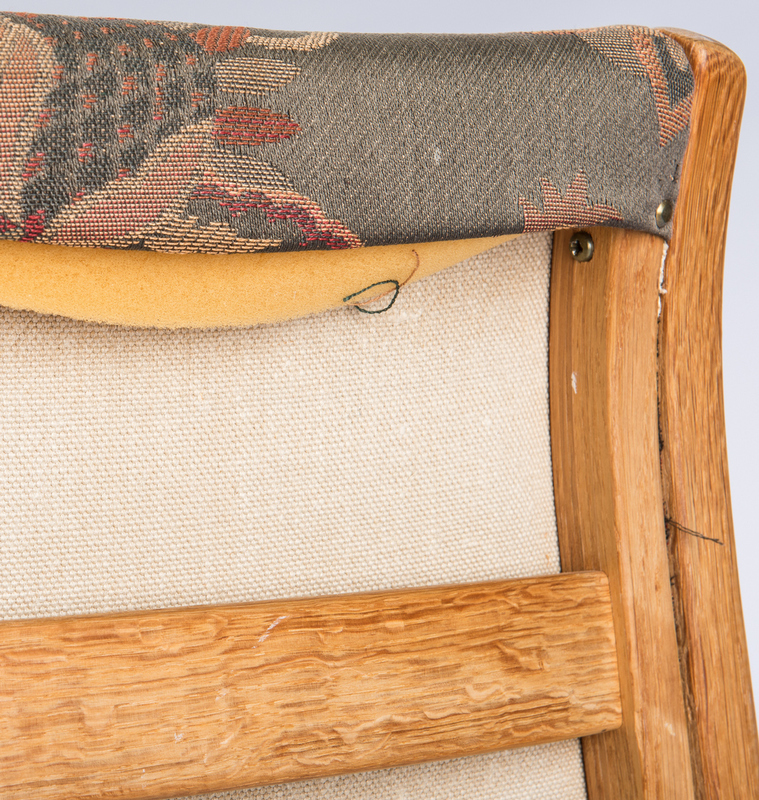 CONDITION: Upholstery replaced, otherwise very good condition.